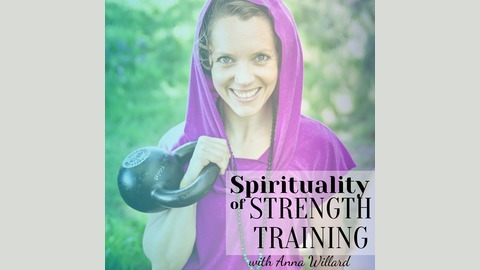 Welcome to the Spirituality of Strength Training! The show covers everything from the strength training, spiritual practices, to mediation, mindfulness, soul awakening, healthy lifestyle, yoga, and the science of healing psychically, mentally, and spiritually. 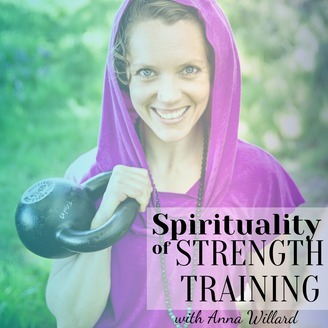 Anna Willard is a health profession who discovered the integration between mind, body, and spirit and the importance of healing all three together as one. This Podcast is dedicated to bring knowledge, wisdom, inspiration and guidance to where every you may be in your health journey. You will gain the tools and awareness to listen to the wisdom of your body and the spiritual practices to heal your mind, body and soul. Hear from health professionals, psychiatrist, spiritual leaders and strength coaches. Have a listen. After moving to Seattle, she hit rock bottom and rediscovered herself with again within fitness. Yet she had always been part of some type of fitness, listen in to how this time returning to health changed her. Injuries brings us back to the two most questions ask within the Bible Why and How Long? Shannyn sneaks in a couple of sermon topics ranging from heaven to hell, the importance of struggling through our faith walk, and how it is healthy to be angry with God. Listen in and enjoy the laughter and fun both Shannyn and Anna have on this episode. Join Anna Willard and Anne Casstevens as they will be hosting this retreat as they will give you strategies for gaining PR's in your pistol squat, pull-up, and press. For more inspiration check out Anna Willard's book Spark Your Youth: A 21-Day Fitspirational to give you hope and the power to believe. Thank you for joining! Anna Willard is excited to take this journey with you! If you enjoyed what you heard, subscribe to receive future episodes and share your love with a great review and 5 Stars.